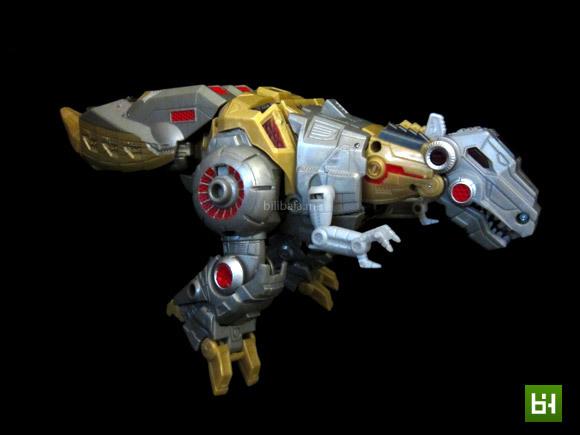 Remember the Fall of Cybertron Grimlock that released on 2013? 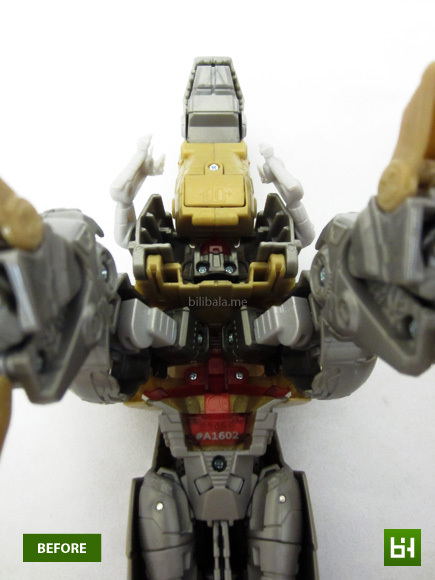 Just when you thought you have the perfect 2013 Voyager Grimlock and only to find that it has a hollow stomach? Well, this is an add on you shouldn’t miss out! 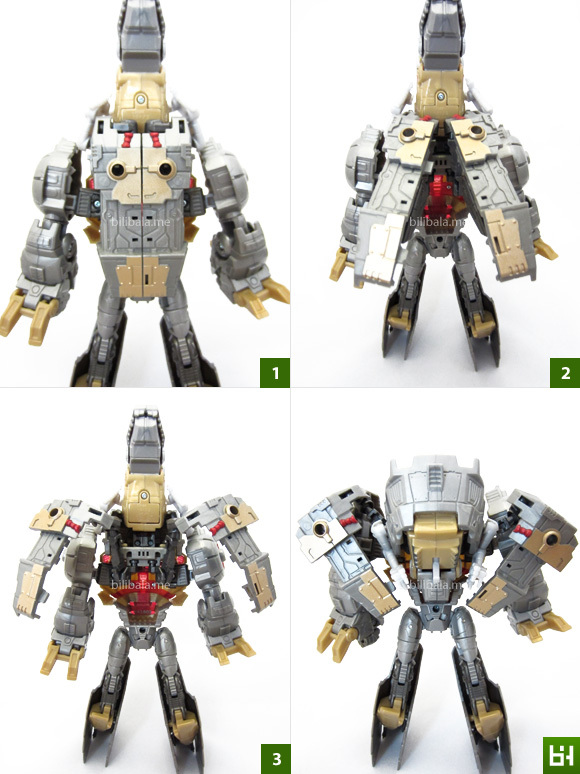 From a newcomer in the 3rd party Transformers toys called Iron Factory, this IF EX-01 Grimlock add on Set will fill up your hollow king in no time (and with a plus too!) . Read on! 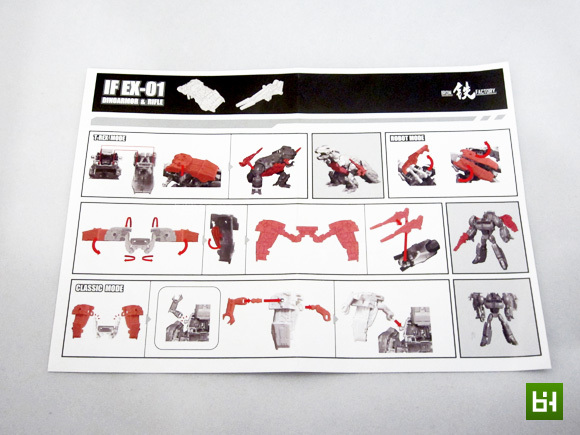 The Iron Factory Grimlock add on comes in a G1-inspired box with the familiar grid based and gradient black-red background. It comes with a sneak hole where you get to see what’s inside the package. 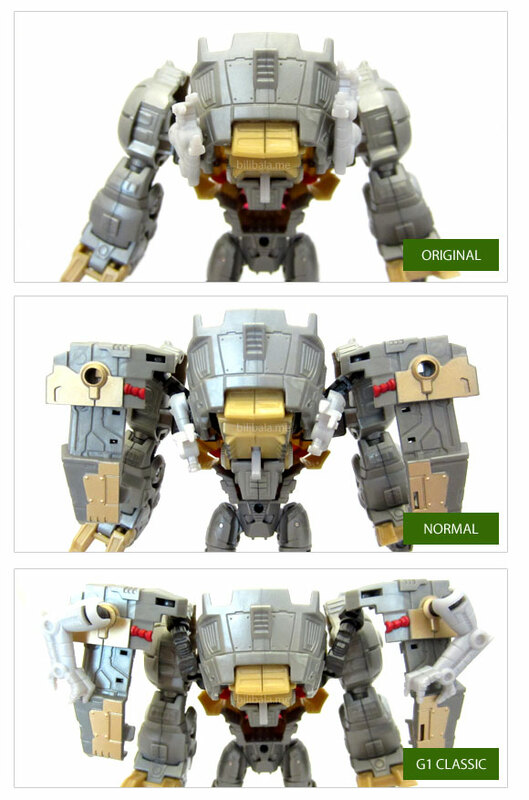 Most of the pictures are illustrated where you have no idea of how the actual add on will look like after combining with Grimlock. Well, the only way to know is to buy and test out yourself. 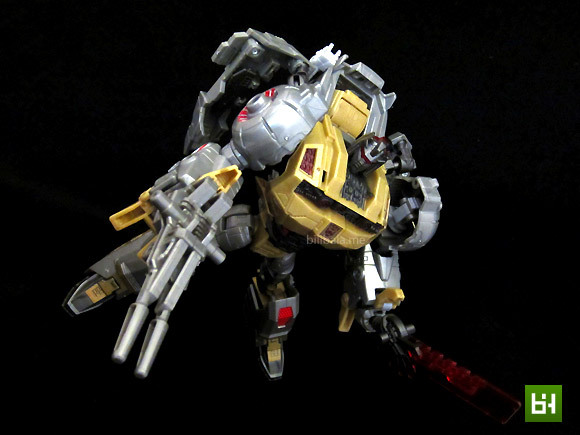 A quick glimpse of what the package comes with: The Iron Factory Grimlock add on on itself, a 2-in-1 detachable rifle and some mysterious extra joints which will be explained later in this review. 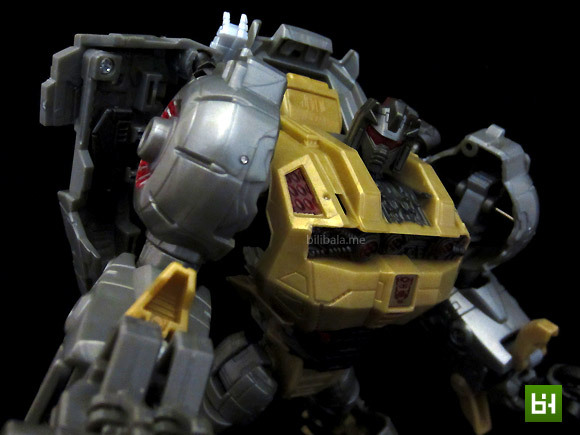 First impression on the add on: solid, tight and extremely good/matching colors with the Hasbro Grimlock. 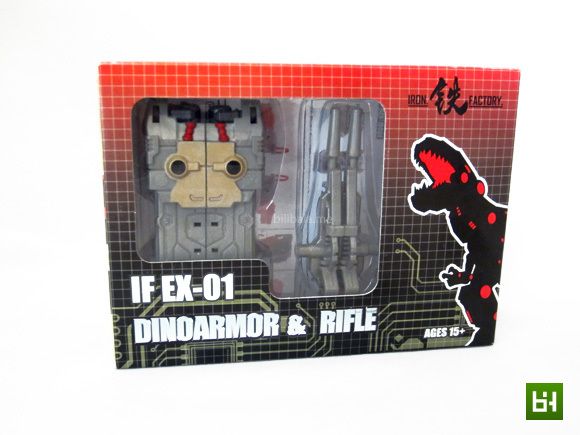 Solid: Plastic quality (for all the parts) is as good as the official toy. No hanky panky cheapo plastic. Tight: Joints are extremely tight at some points. They even squeak when you turn them around. 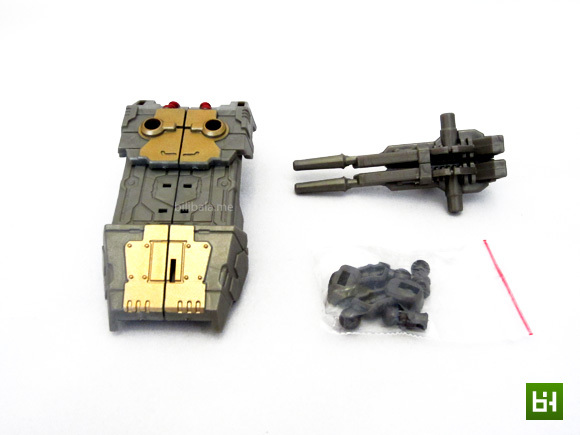 Good/Matching Colors: They have done a very good job in finding the correct plastic color to match with the main body. 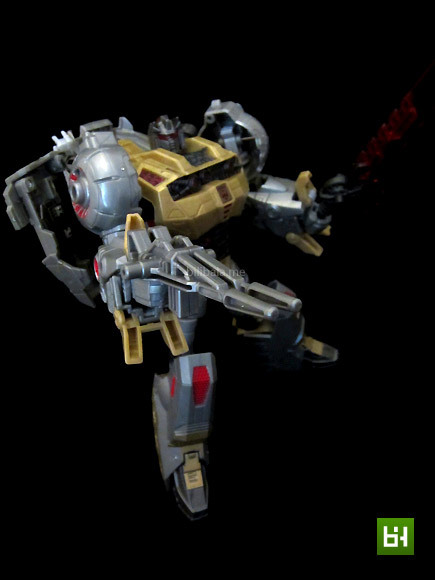 In additional with great color application of metallic gold + red gives impression as if it is from Hasbro itself. Kudos on that! It comes with a simple instruction on the transformation. You might get confuse of the arrows pointing here and there. Rest assured that after it has been combined with the main subject, it will become much more apparent on how it works. In addition, it offers a hassle-free and brainless assembly which can be done within seconds. 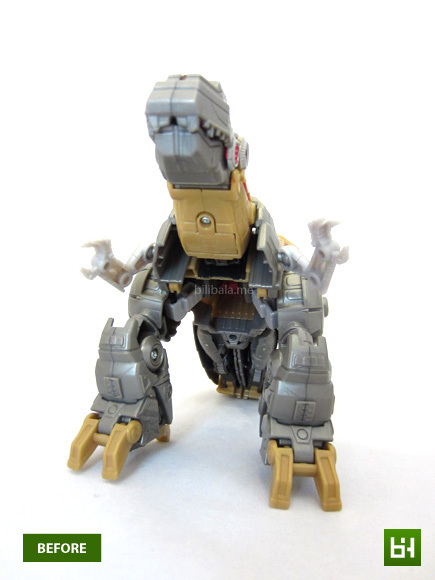 Here’s a quick comparison of a before & after shot on the dino mode. It does fit in nicely to cover up the entire stomach section. Make it a perfect combination. A closer look at the combination. Yes. Everything fits in just nice. 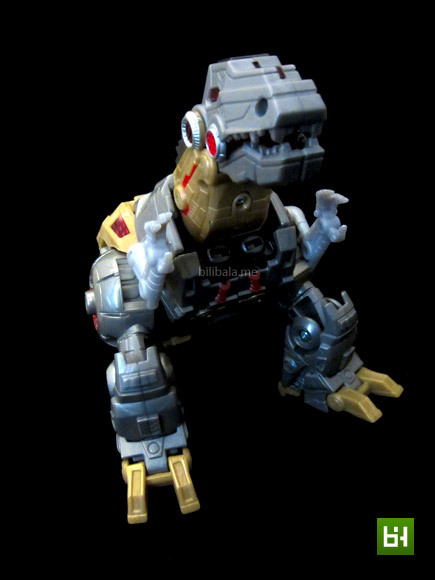 Notice how the details match with the original body of Grimlock. Off to robot mode. 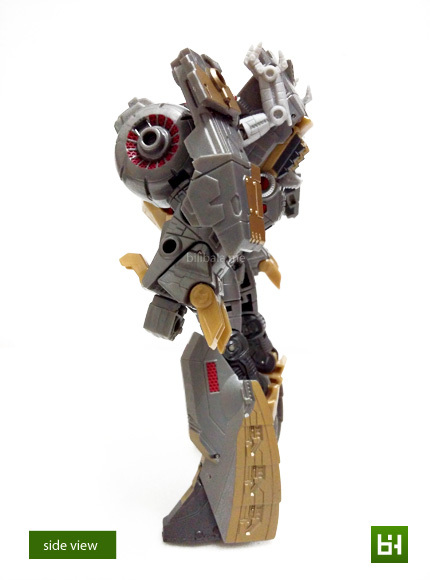 It resembles greatly to its G1 form with the 2 additional “shoulder wings”. It makes the figure much more complete by now. View from the side. Not much back kibble/weight has been added. From the back, they look surprisingly well with such add on. There are 2 5mm ports on each side to allow the rifles insertion/storage. 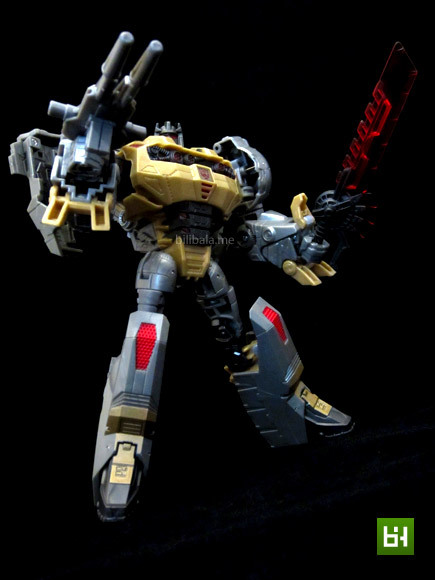 There is one downside for this Iron Factory Grimlock add on anyhow. Remember the chest lighting gimmick which can be triggered by pushing the button on the dino head? Well, it doesn’t work quite well now with the add on in place. This is due mainly to the space being occupied by the addon. But, who cares about the light up gimmick anyhow? 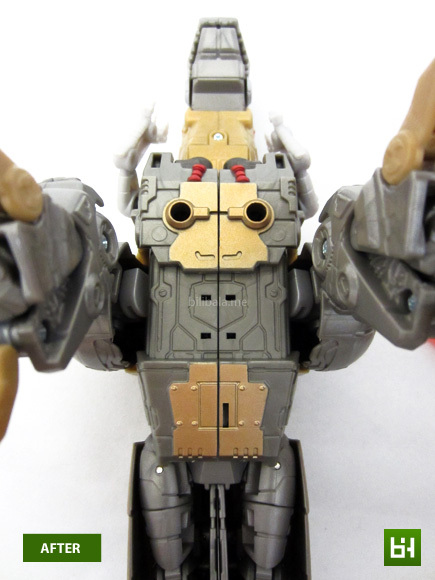 Another part which we fancy about this add on is that it doesn’t affect the transformation at all for both modes. Transformation might look complicated on manual or by transforming the add on itself (without combination). Once you have slotted into the main body, it’s an entirely different story. 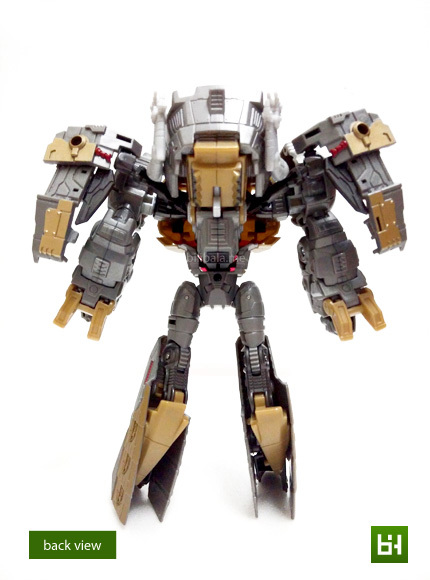 It becomes more straightforward and much easier to transform. Here’s a quick comparison between 3 modes. For an add on with a price tag of merely USD20 (RM65), this is an add on that worth every single penny. Ranging from quality, colors and transformation, we have absolutely no complains. Oh, maybe just one: the light up chest mechanism which is being scarified. We really care less about that, seriously. 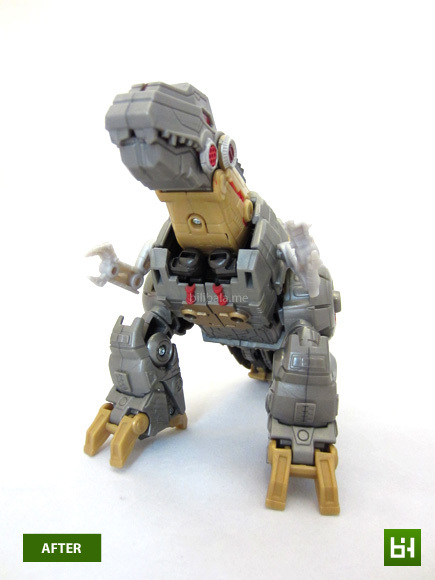 We only care about the improvement of the ever menacing look of Grimlock himself! 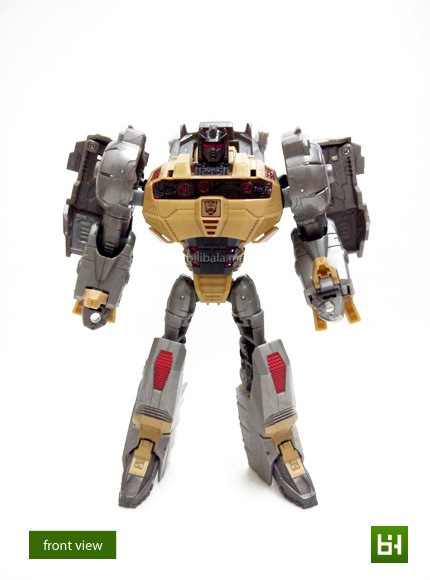 So, if you happened to have a Hasbro version of this Grimlock, by all means, grab this add on from Iron Factory. You will not regret! 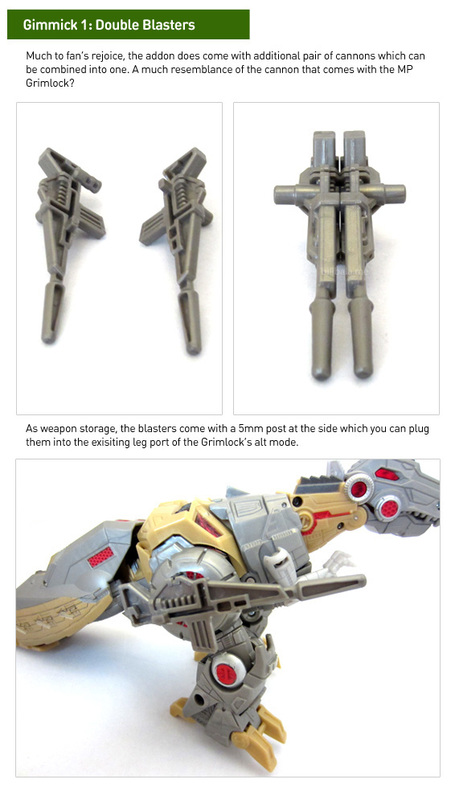 What I like – Built quality; matching color (Hasbro); tight joints; add on won’t affect original transformation; additional weapons. What I dislike?– Light up chest gimmick has to make way. Somehow I find the Zenith Forge version suits my taste better. Probably due to it being one piece instead of two. @grayfoxZERO Somehow i haven't seen the Zenith Forge add on yet. 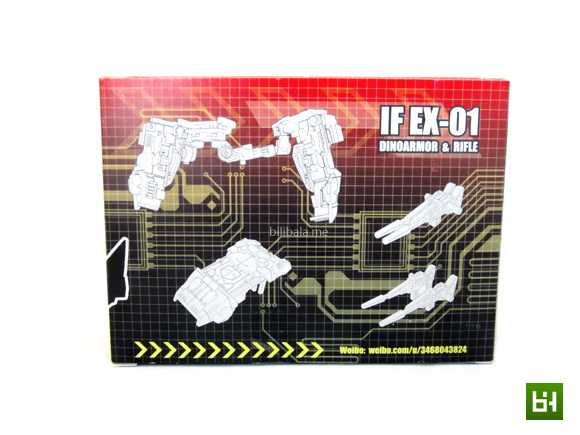 Is it transformable like the Iron Factory one?